Oris announced a new addition to its Artix family with the Artix Pointer Moon, a timepiece displaying the lunar cycle by means of a pointer hand. Probably less charming than traditional moon display, the solution adopted by Oris indicates the position of the moon cycle more precisely as the pointer moon hand moves every half day. The two-part black dial, with an inner and outer disc structure, features applied indices treated with Super-LumiNova, just like the hour and minutes hands. Slightly restyled to make it slimmer and more elegant with additional chamfer along the horns, the stainless steel case has a diameter of 42 mm and offers water resistance to 10 bar/100 metres. The new watch is powered by Calibre 761, a movement based on a Sellita SW220 which Oris modified and further developed in-house to add the original moon phase indication. 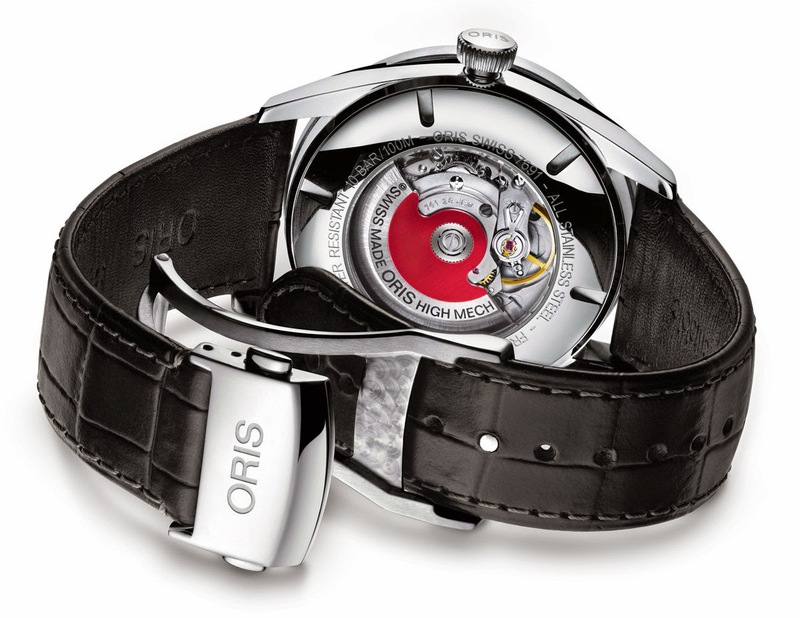 The movement, with the typical red rotor, is visible through the screwed case back with see-through crystal. 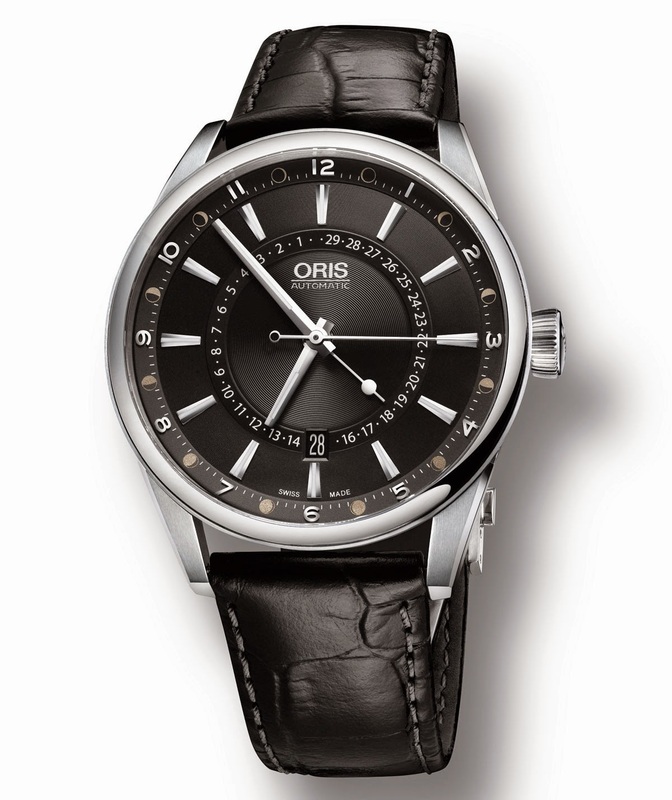 The Oris Artix Pointer Moon (ref. 01 761 7691 4054) has a Swiss Retail Price of 1,900 Swiss Francs. 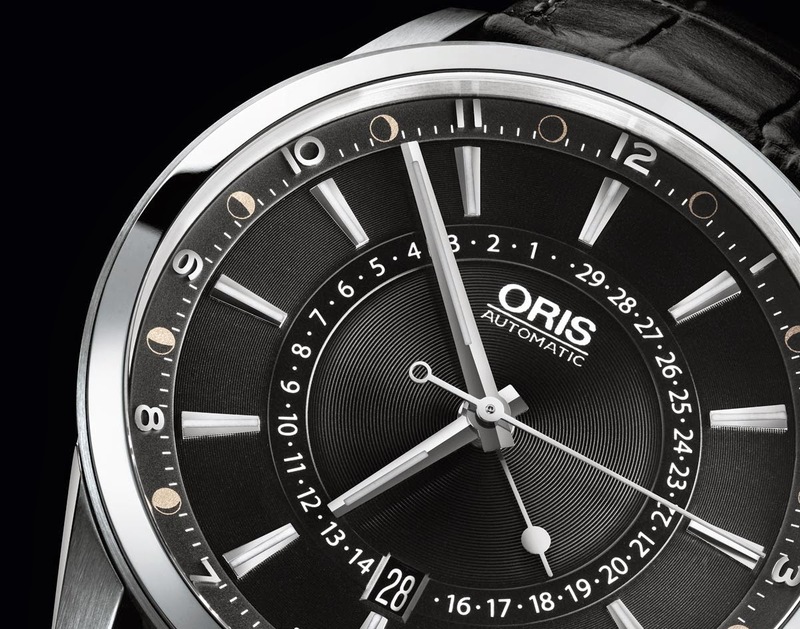 Oris Artix Pointer Moon. Oris announced a new addition to its Artix family with a timepiece displaying the lunar cycle by means of a pointer hand: the Artix Pointer Moon. 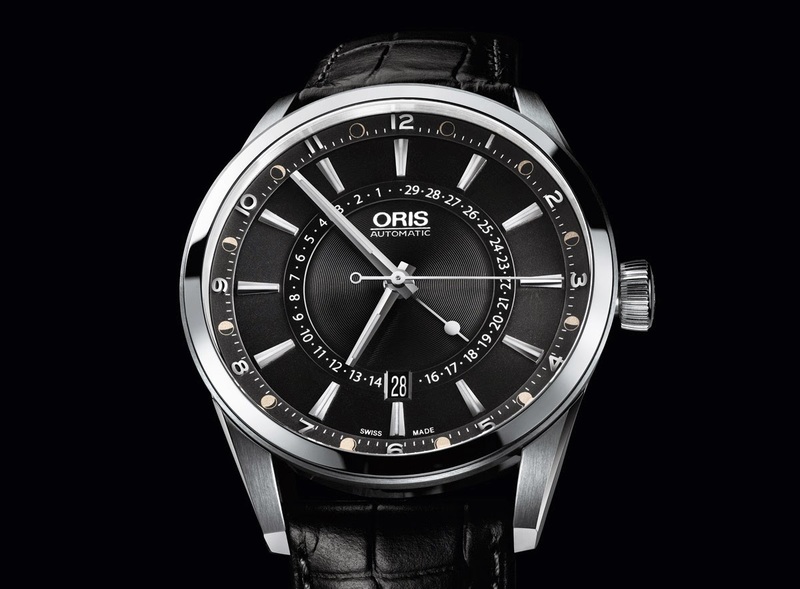 The Oris Artix Pointer Moon (ref. 01 761 7691 4054) has a Swiss Retail Price of 1,900 Swiss Francs.